DAVID IRVING, who was released from prison last December  in Austria after being convicted of Holocaust denial, recently announced that he is rethinking his position on the fate of European Jews during World War II. Irving now concedes that a mass slaughter of Jews may have occurred. Notice, incidentally, how the reasons for Austria imprisoning me vary as we go around the world. In fact: Austria sentenced me to three years jail for Wiederbetätigung, literally reactivation (of the Nazi Party!) under a Stalin-era law passed in 1945, on account of a lecture I had delivered sixteen years earlier, on November 6, 1989. The law is also called the Verbotsgesetz, or Banning Law. Grotesquely, "democratic" and "Free Speech" Austria still has this law on its statute book and uses it to jail people of whose views it disapproves -- on this particular occasion it was at the written request (November 7, 1989) of a Jewish-Marxist body, the Dokumentationsarchiv des Widerstandes. AWPOW! Are we Powerful or What! In a series of interviews, including one with the Forward, Irving outlined his new beliefs. After his release, he said, he discovered in a volume of trivial Nazi communiqués a memo from SS major Hermann Höfle that refers to "S," "B" and "T" -- code, Irving claims, for the concentration camps Sobibor, Belzec and Treblinka. He said he is 80% sure that the document is genuine and that no other piece of Holocaust evidence has seemed as legitimate. "This is the only one," Irving said. "If [the document] is genuine, it refutes the view of the revisionists that nothing happened." Irving's current conclusions still lie far from those of mainstream Holocaust scholars. He believes that around 2.4 million Jews were killed by the Nazis, that Auschwitz was not a death camp and that SS chief Heinrich Himmler ordered the murders behind Hitler's back. 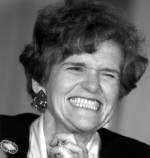 Deborah Lipstadt, an Emory University professor whom Irving unsuccessfully sued for libel in 1996 after she described him in print as a Holocaust denier, was unimpressed by Irving's new stance. "Do I care whether he said 2.4 million or zero?" Lipstadt said. "Bottom line is, he's an unrepentant, committed antisemite." "He should be met with a big yawn," she said. "I've received a number of e-mails from around the world," Irving said. "They're not very happy with me at all." Among the unsympathetic is Michael Santomauro, who runs the revisionist Web site Reporters Notebook. "[Irving] is a flip-flopper on the Holocaust," Santomauro said. "I think he's positioning himself to sell more books." Irving, 69, began writing about World War II in his youth, often expressing sympathy for the Third Reich. His books were dismissed by critics and historians but sold well. In 1988, the American execution specialist Fred Leuchter's claim that there was no evidence of gas chambers at Auschwitz convinced him that the Holocaust had never occurred. Eight years later, Irving sued Lipstadt for libel after she described him as a Holocaust denier in her book "Denying the Holocaust: The Growing Assault on Truth and Memory." Irving lost the case. In 2005, Irving was arrested in Austria for having publicly denied the Holocaust in that country in 1989 [SEE PANEL AT RIGHT]. He was convicted and sentenced to three years in prison, but the decision was overturned on appeal late in 2006, after he had served about a year. One of Irving's main allies in the United States is Mark Weber, director of the revisionist Institute for Historical Review. Weber countered the claim that Irving is simply engaged in a publicity stunt. "Those people who are disappointed that Irving has switched [sides] shouldn't be, because he's always been ambivalent," Weber said, adding that Irving's current stance marks a return to the way he was thinking when he published "Hitler's War" in 1976. "You must not think that I've done anything to rehabilitate myself," he said. Comments Irving made to the Guardian newspaper suggest the extent to which he does not wish to be rehabilitated. Irving called the Jews "architects of their own misfortune," responsible for most of the 20th century's wars. "They're doing very important work," he said, adding that revisionists keep mainstream Holocaust scholars on their toes. He dismissed the charge that revisionists are motivated by factors other than the pursuit of historical truth, such as antisemitism. "I think that's a dead duck." he said.